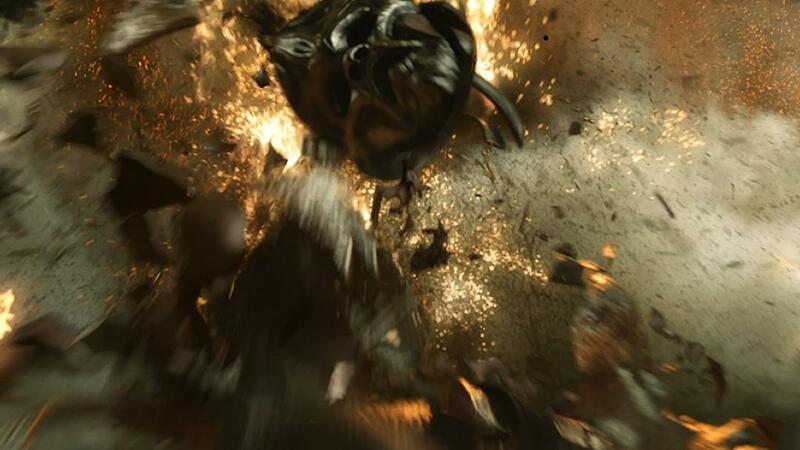 Milk was hired to create many of the spot VFX sequences as they began to appear during the edit phase and re-shoots. Milk’s first brief was to create the Tengu ghost spirits in the Tengu forest. 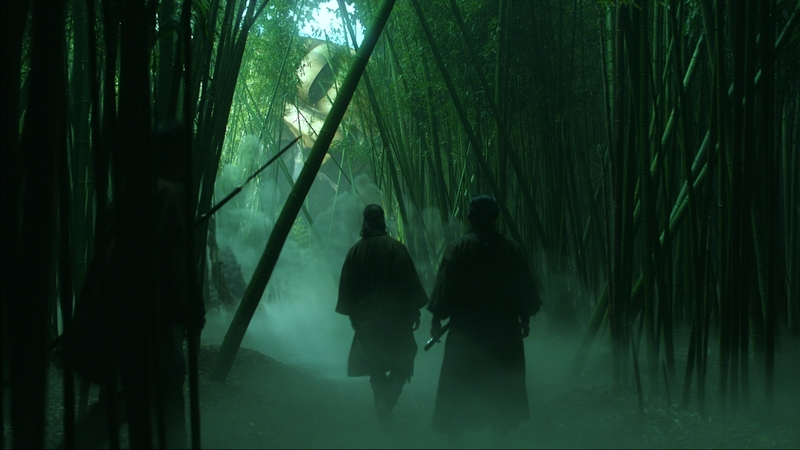 These spectres would help lead Kai (Keanu Reaves) to the Tengu Swords, powerful swords required by the Ronin to exact their vengeance. Milk also recreated a character called the ‘Lovecraftean Samurai’ ghost spirit who explodes in a memorable stereoscopic 3D moment. To create Tengu ghost sequence, glowing Tengu sword effect, exploding samurai, lotus pods and environments, plate enhancement with snow smoke and fire. 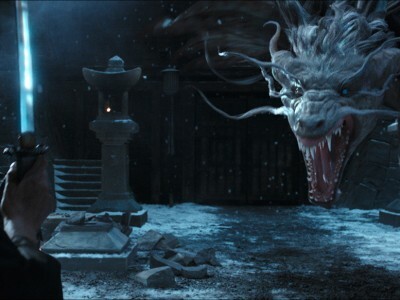 Milk was hired to create many of the spot VFX sequences as they began to appear during the edit phase and re-shoots. Milk’s first brief was to create the Tengu ghost spirits in the Tengu forest. 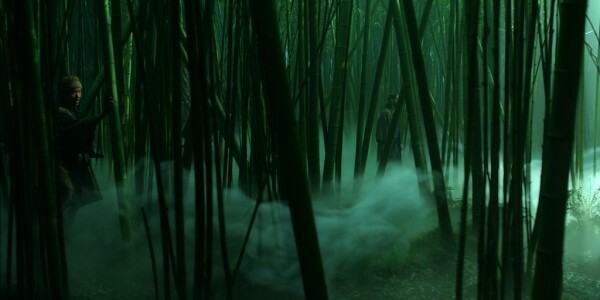 These spectres would help lead Kai (Keanu Reaves) to the Tengu Swords, powerful swords required by the Ronin to exact their vengeance. Milk also recreated a character called the ‘Lovecraftean Samurai’ ghost spirit who explodes in a memorable stereoscopic 3D moment. 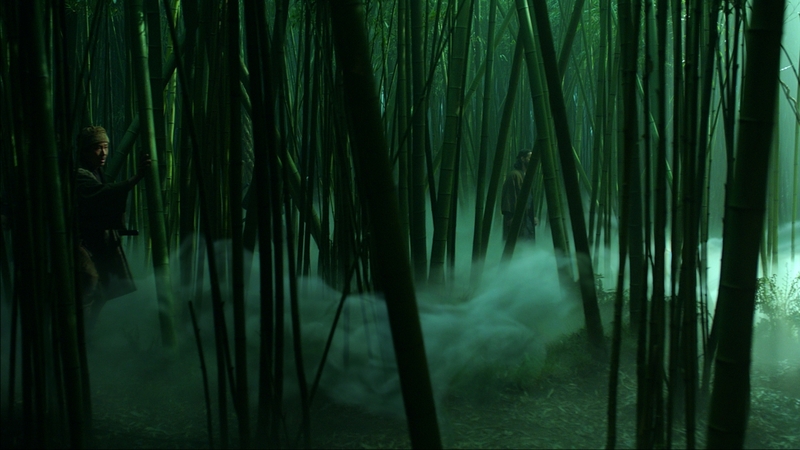 The Milk team was also tasked with creating a matte painting of the Tengu forest in a 2D plate, and then converting that shot into 3D. 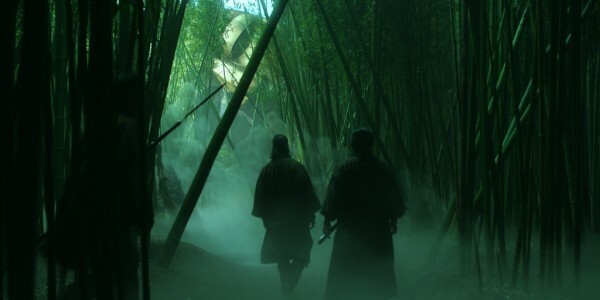 They also created some living, organic ‘Tengu Pods’ that release a mysterious vapour out of which the spirits form and which make the Ronin hallucinate! The Tengu Spirit sequence was the most challenging and rewarding. We were able to concept and design the characters based on a brief from Christian Manz (47 Ronin VFX Supervisor) and some early designs. What began as dreamlike and ethereal spirits were later developed and tweaked to provide a scary and chilling moment. Based on amorphous Old traditional Japanese ladies – we decided to use Deep Composting as we were having to layer smoke over smoke and we felt the extra detail would really help the look of the sequence in showing the subtle detail. The technical challenges of compositing Deep are large in terms of the size of Data created – just loading a shot into Nuke we were looking at 1TB at the time of production.